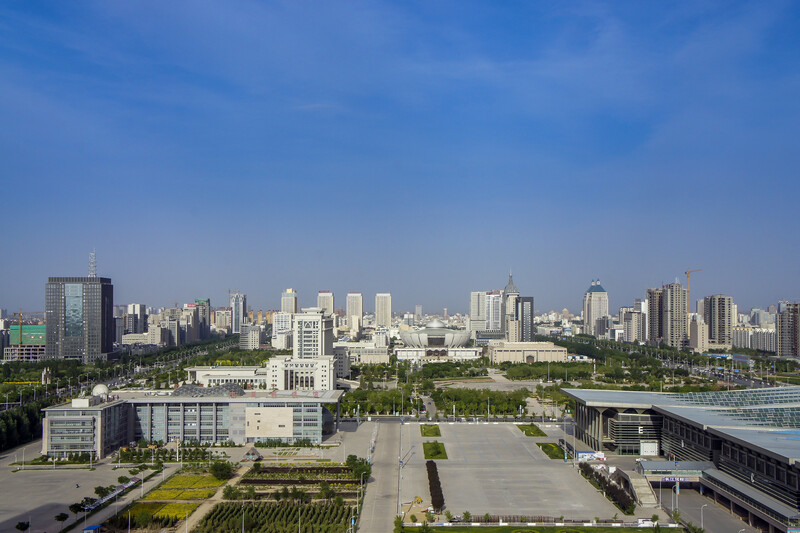 Yinchuan City is the capital of the Ningxia Hui Autonomous Region, China. 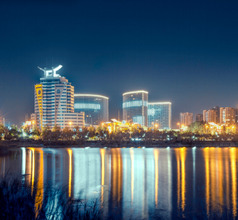 It is located in the central part of the fertile Ningxia Plain and is called the “land of plenty” or the “phoenix city”. The towering Helan Mountains in the north protect the city from the cold Mongolian deserts. 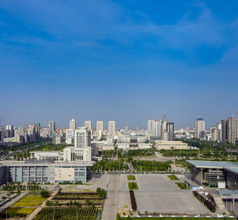 The Yellow River flows across the city in the southwest-northeast direction blessing the region with lush greenery. 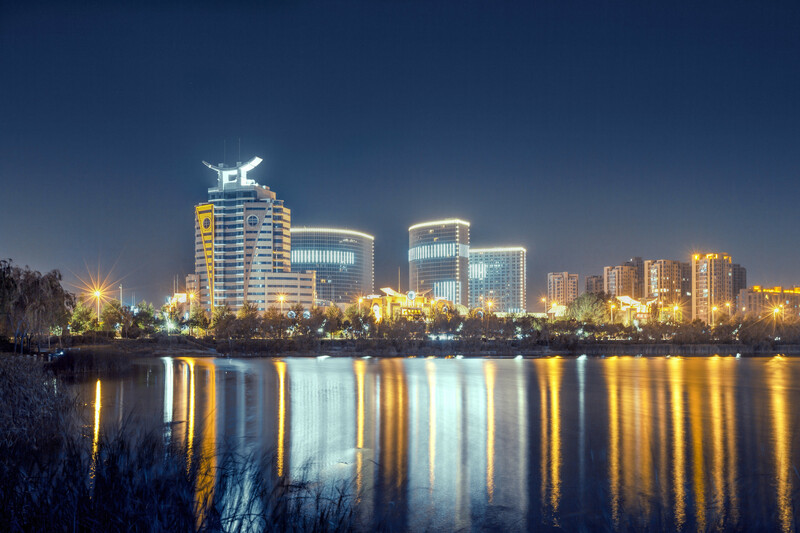 So downtown Yinchuan is sandwiched between tall mountains and the mighty river. The average altitude of the city is 1,100 meters above sea level so the climate is usually cool or cold. Water bodies like Aiyi River and Beita Lake have added to the cities wetlands and greenery creating a healthy environment. 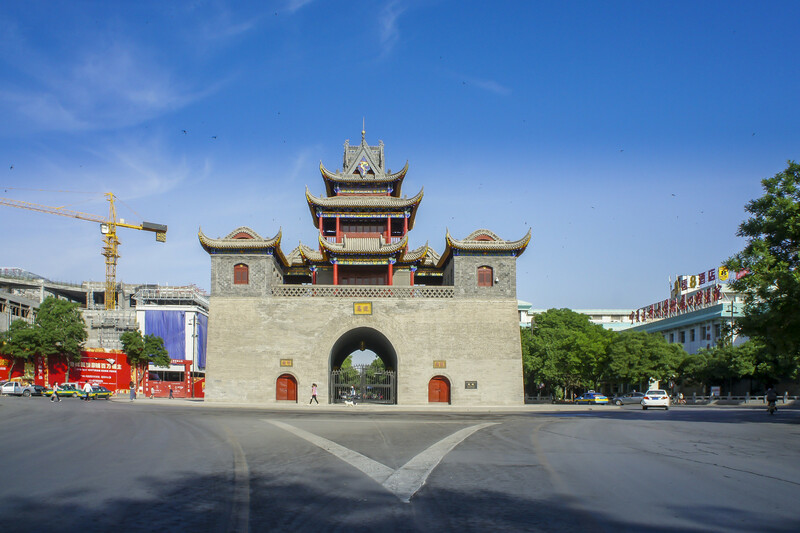 Since ancient times, Yinchuan City has been the birthplace of several cultures. 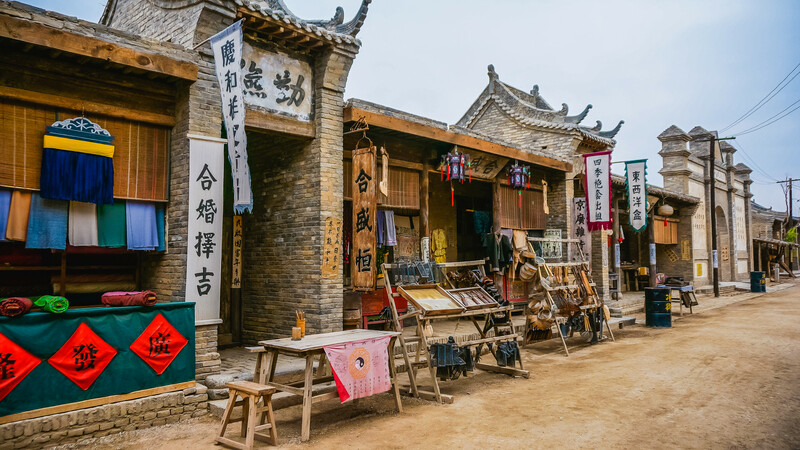 There have been people who came from the central plains of China, the frontier culture which came from the north, the Hetao Culture, the Silk Route culture, the Islamic culture, and the Western Xia culture. 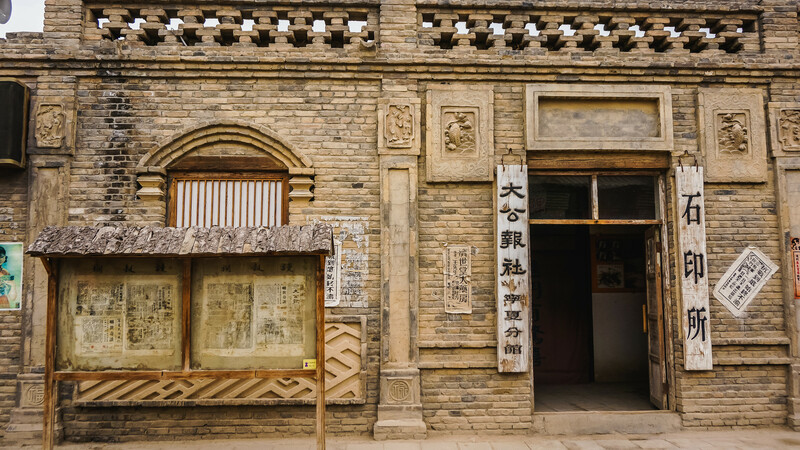 These cultures have combined to form what is today’s modern and liberal Yinchuan City and there are several ancient relics that showcase this slow transition. 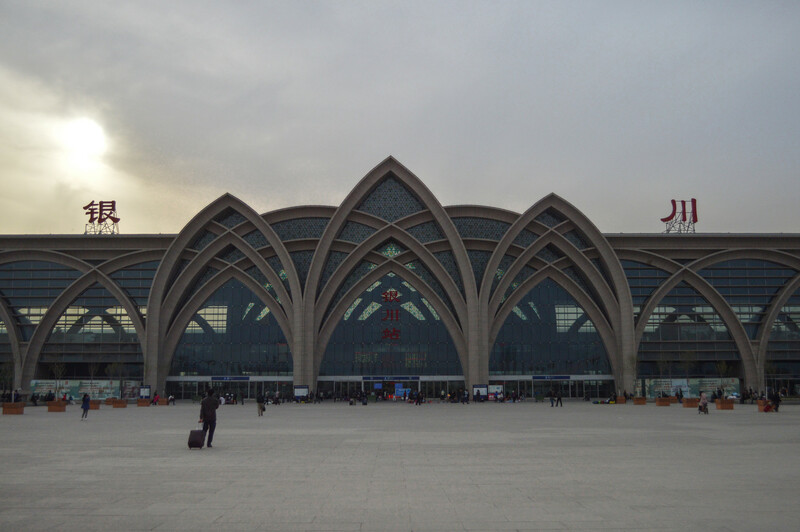 As the name of the region suggests, the predominant ethnic group living in Yinchuan City is the Hui group. In fact, over 400,000 Hui people live within the city limits. The Huis are devout Muslims who have lived in the regions since the Ancient Silk Route days. Consequently, the city has some of the best examples of Persian-style architecture although there are Buddhist pagodas as well. 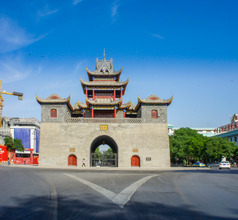 The city of Yinchuan is rapidly developing into a popular tourist destination for overseas tourists as well. The city has a few good options where accommodation is concerned. One can choose from 3, 4, and 5-star hotels. The lake-view hotels are the most popular choice of overseas tourists because they have rooms with wonderful views. For those traveling on a limited budget, there are a few low-priced grade-one hotels, service-apartments, and inns as well. To avoid any problem in communication, it is advisable to download an English-Chinese translation app or carry a suitable dictionary. This will prove useful while communicating with hotel staff, during the sightseeing expeditions, and while dining in the local restaurants. The Helan Mountain National Forest Park is located on the Helan Mountain Range and consists of dense forests and superb rock formations. There is a concrete walkway along the cliff face that serves as a vantage point to admire and photograph the splendid canyons and valleys in the region. The cliffs are accessible via a suspension bridge. The area also consists of a massive artificial waterfall adding to its scenic beauty. Another highlight of the Helan Mountains is the Helan Mountain Rock Art. These are ancient carvings on the mountain cliffs that were created by Chinese nomads around 10,000 years ago. The carvings portray human portraits, totem poles, and various scenes like hunting, war, dancing, and grazing. To reach the site and view the rock art one has to use the electric golf-cart style transport provided for the purpose. 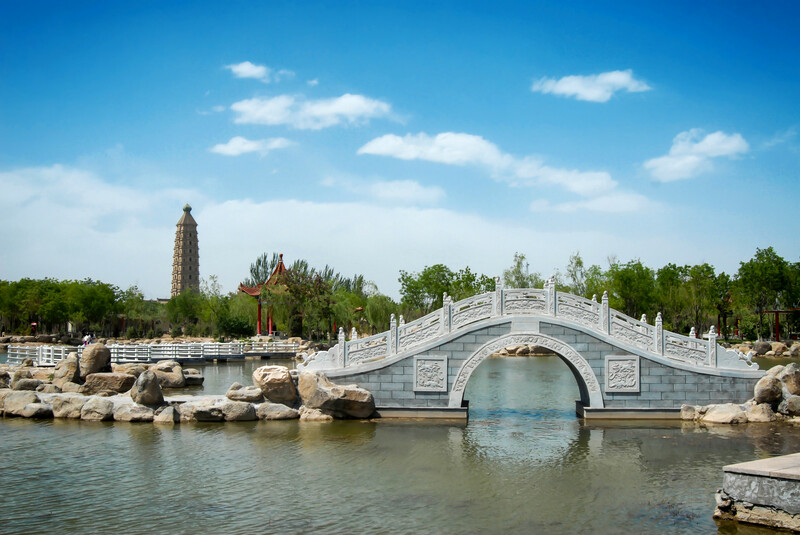 Although the superb Shahu Lake is usually listed as an attraction near Shizuishan City, it is equally accessible from Yinchuan City. The vast lake has several small islands covered with sandy soil and grasses. The scenery has a lovely picture-perfect quality that makes wonderful photographs. The site also has an amusement park and jetty so boating is the best way to explore this scenic area. 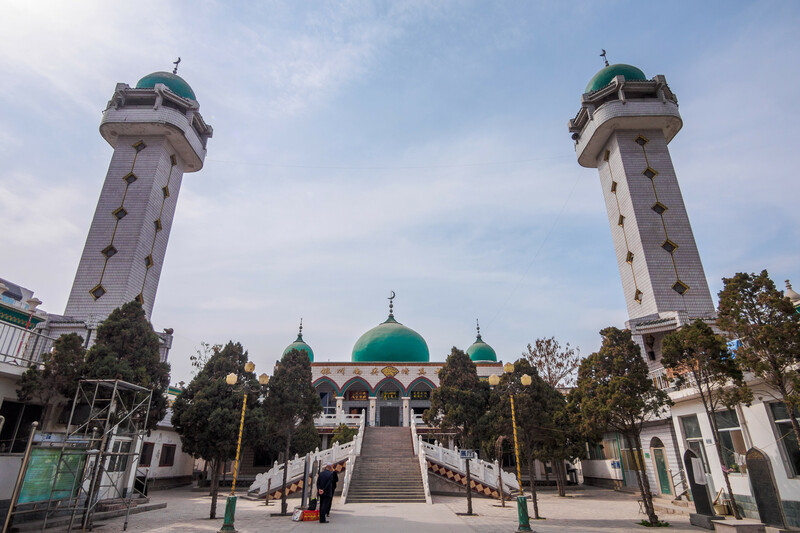 The Nanguan Mosque of Yinchuan City is the largest and most beautiful mosque in the Autonomous Region. 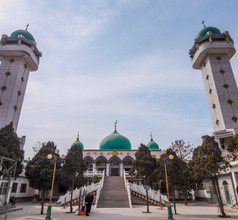 The Yongning Najiahu Mosque is also a major place of worship for the Hui Muslims in the Yongning Village near Yinchuan City. Another ancient relic that is definitely a must-see near Yinchuan City is the Chengtian Temple Pagoda. 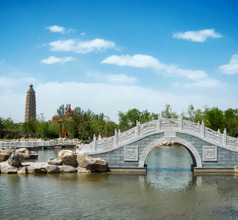 This attraction has several buildings designed with classic Chinese architecture, a tall tower that dominates the complex, and artistically landscaped gardens. Another temple worth a visit is the Haibao Pagoda which was first built in the 5th century and rebuilt in the 18th century while retaining the same style of architecture. 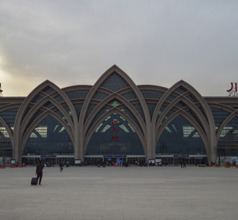 Yinchuan Hedong International Airport is 25 kms away from urban hub of Yinchuan in Ningxia Hui Autonomous Region. Airport shuttle Line 2 goes from city terminal till 21:00 for RMB20. Taxi charges approximately RMB60 taking 40 minutes. Public bus takes an hour and 30 minutes to reach downtown. Foreign links are to Japan, UAE, Malaysia, Singapore, Vietnam, Taiwan, Thailand and Saudi Arabia. There are connections to various home airports through most of the local aircrafts. 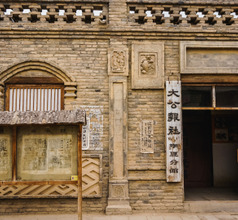 The food in Yinchuan City is usually characterized as Hui Muslim cuisine because the Hui ethnic group are not the minority here but the majority. Their cuisine is well-known for its aromatic spices, and for roasted, grilled, and barbequed delicacies. 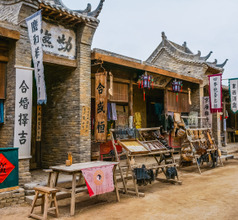 At the same time, there are some features of traditional Chinese cooking techniques that make the local food a great blend of cultures and cooking styles. Some of their special dishes are braised sheep’s backbone, lamb mutton, spicy Mianpi Salad, braised sheep’s entrails, braised mutton served with tender Gouji buds (wolfberry fruits), etc.